David Glänneskog was born i Jönköping in 1971. He started playing the trumpet at very early age and quickly gained a reputation as a skillful and talanted musician. 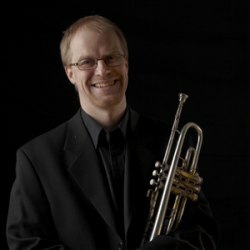 David is a professioanl trumpeter educated at the School of Music and Drama in Gothenburg. David frequently writes arrangements and compositions for brassband, wind band, big bands etc. By profession David is working in the wind ensemble Gothenburg Wind Orchestra.